Are you seeking for the best solution to make your Mac faster? The good performance of its system depends on how well all the processes are optimized. Most probably, you have heard the word “optimization” in the world of information technologies, but do not know exactly what it means. Your storage space must be free from the junk files that are sometimes hard to detect and delete manually. Check the top approaches to optimizing Mac in one place! 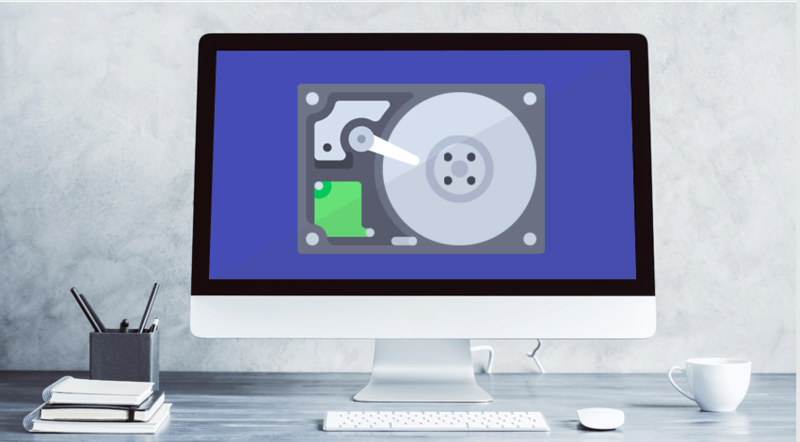 macOS Sierra and High Sierra have introduced the function called “Optimized Storage.” This brand new feature prevents an Apple computer from being trashed with the useless items. The best thing is that a Mac owner can pick the specific period of time to have the system scanned for the unnecessary files and cleaned afterward. macOS platform also has a function of self-cleaning in the sleep mode. No matter how effective these solutions are, there are files left that need extra help with cleaning. What are the possible leftovers? These can be either the downloaded apps a person seldom uses, cache, temporary files, search history files, and duplicates of audio, video, photos, and other files. If you don’t want to deal with the manual cleaning of your folders, choose an automatic tool to clean Mac memory to take care of the computer’s physical and virtual memory. MACPROCLEANER – GIVE IT A TRY! Welcome to the MacProCleaner official page! Our team is made of dedicated Mac developers. We will prove why every caring user who would like to take the best of Apple computers may benefit from downloading and installing our tool. In this section, look at several reasons why your computer slows down and why you need Mac app memory clean ASAP. macOS compresses some data or uses File Cache as a sort of free memory to release the required amount of memory for other files. Sometimes even OS X and fresh macOS High Sierra fail to speed up the processes if RAM capacities are limited. In any hardware store, it is possible to buy better, expensive RAM or choose the best cleaners for OS X. Many Mac owners who have tried our cleaning application believe it is worth spending much less money on our offer than waste a lot purchasing RAM each time the computer is fed up. While many people may argue those are important items to load web pages quicker, it makes no sense to save the entire history of caches, cookies, and other temporary files. Those Mac owners who use the sleep mode in the night hours will not face a huge problem because OS X deletes temp files during that time. Have you got used to shutting down the computer? Perhaps, the battery has run out in the middle of monitoring, and the automatic cleaning process postponed for the next session. It makes the memory disk more vulnerable because the junk files tend to mount up. That is the main reason why Mac works slower after the purchase. If you don’t want to wait until the night and aren’t sure whether the system wipes out the junk, it’s a good reason to use an automatic tool to clean up Mac Memory. MacProCleaner was developed for this purpose. It releases your preferred browsers from the tons of garbage. 3. Clones, clones, clones everywhere! Both system and user may unintentionally generate hundreds or thousands of clones of different types of files. The worst thing is Mac owner has no idea about their existence. Those are duplicates of audio files, videos, images, and other items. The manual cleaning is a boring process, and the most annoying thing is a user cannot be sure where to look for the duplicates. With MacProCleaner, a user will not miss a thing – our smart solution knows where the duplicate files may be hiding. It checks the entire system and offers the results within minutes! If the user returns to the song/movie he/she has watched and forgotten about it, MacProCleaner will detect the outdated item or remove copy. The software will ask about user’s opinion – do not be afraid of losing necessary files. Launch MacProCleaner à Select Scan (specify you wish to detect duplicates) à Pick Clean after the process is over. Before the system cleaning, decide on which files should stay. 4. It looks like someone forgot to take the garbage out! Mac’s Trash is a holding area that allows restoring any removed file. This area takes a lot of space on your hard drive in case you forget to Empty Trash. MacProCleaner makes it possible to delete unnecessary files in a single click. Check the contents of the trash bin because an option of automatic files removal will make you lose all documents stored in Trash. The first time I had to clean my desktop was when I complained about the system’s slow performance. It used to be a challenge sorting the items; it’s better to save them in special It will help you find a necessary file in a few seconds (or a user may apply our software capable of detecting any files in several minutes). MacProCleaner: Your Computer’s Personal Superhero! Command the app to erase the useless data to free up space. How to avoid filling up your Mac’s memory? Some people think machine’s memory should be perfect, but it can’t store all the crap. That is why a caring mac owner should avoid filling the storage with the files he/she won’t need in future. Some files are tricky. A user can’t see them and doesn’t have any idea where they are located and whether they exist. It is the main reason why you need an assistant in performing a constant check-up of the folders. It can uncover those bits of data to remove without regretting. Moreover, such utility as Mac Pro Cleaner will never automatically delete the data that can carry any importance for you. It has more smart functions than other utilities. Have a look at the entire list of the potentially useless files (junk) once the scanning is completed. Mark the items you wish to be gone without any sign (such as unwanted applications to uninstall) and those you would like to remain in the system for further usage. MacProCleaner is every user’s chance to guarantee a clear sailing from here on out! CLEAN UP MAC’S MEMORY in 1-2-3!